If you are a proud owner of the Poké Ball Plus, you may already know what you can and can’t do with it. The point of this guide is to help those that are not familiar with its features and show them how to use the Poké Ball Plus. 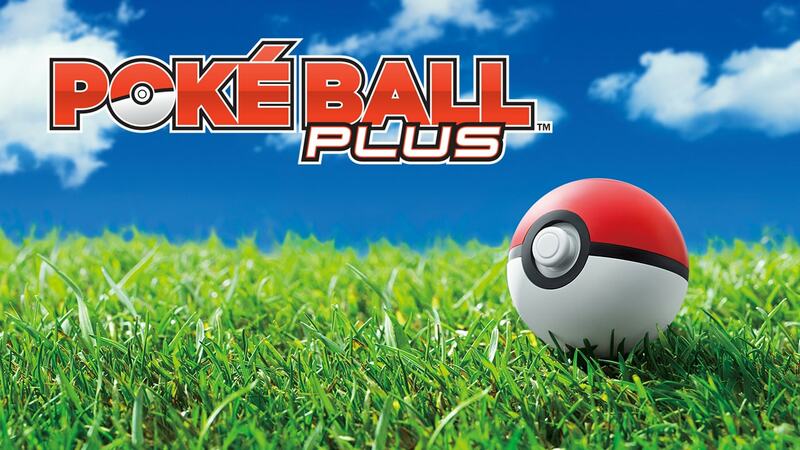 The Poké Ball Plus peripheral can be used as a controller, transfer Pokémon that are inside the ball, train and play with them whilst they are inside. Let’s go over each feature in a bit more detail. The main purpose of the Poké Ball Plus is to be used just like a Joy-Con. It has four type of controls. The Joystick for movement, The Top button for accessing the menu or to cancel. Pushing in the Joystick works the accept button and shaking the Poke´Ball plus can gain access to sub menus. This is pretty much all you would need in order to play Pokémon: Let’s Go, Pikachu! and Pokémon Let’s Go, Eevee!. There is one extra control feature and that is the motion controls that are needed to catch Pokémon. When trying to catch Pokémon, you must “throw” the Poké Ball plus in the Pokémon’s general direction. By adjusting your angle and pitch you can throw over or even under the Pokémon sometimes. Try to aim inside the shrinking circle for better chances to catch wild Pokémon. The Poké Ball Plus seems to be more responsive than a standard Joy-Con and much easier to get the right angle on your swings. When you connect up your Poké Ball Plus for the first time, you will be prompted that you have a mystery gift. Follow the in-game instructions and go to Mystery Gift. Accept Mystery gift from the Poké Ball Plus and you should recieve Mew. Make sure that that it is a brand new Poké Ball Plus because if Mew has been transferred before, the Pokémon will no longer be available for Transfer. Also, it is important to have adequate battery life so that neither the Switch or the Poké Ball Plus dies whilst transferring Pokémon. Doing so can cause you to lose Mew and you won’t be able to do it again. Mew is a one-time only deal so it is important that everything goes well the first time round. When using the Poké Ball Plus whilst playing Pokémon: Let’s Go, If you go to save your game, you will find a new option there titled “Take Pokémon For A Stroll”. You will be given the option to choose either your Partner Pokémon or any other Pokémon in your Pokémon Bag. By doing so, you can take the Pokémon out of the game and along with you wherever you go in the real world. You Pokémon can earn experience and candies whilst in the Poké Ball Plus and can give them to you when you choose to take a Pokémon for a stroll again. You will be prompted if you would like to take back the Pokémon in the Poké Ball Plus or leave them in there. Whilst you have a Pokémon in the Poké Ball Pls, you can interact with it. If you hold in the Joystick for several seconds, it will light up to the colour of the Pokémon that is in the ball. You can roll the ball in your hand or shake it to get a reaction out of it. The smount of times you do this is also counted in your records in the main game. Green: When the joystick base glows green, there is a Pokémon close by that you can catch. Blue: When the joystick base glows blue, there is a PokéStop or Gym nearby with a disc that you can spin. It will also glow blue if you have already spun a PokéStop and it has recharged. White: When the joystick base pulses a slow white, this can mean one of two things. You are either in the middle of catching a Pokémon, or your Poké Ball Plus has disconnected from your phone and you will need to open the Pokémon GO app to reconnect your Poké Ball Plus. To initiate an action to any of the above instances, press the red button on top of the Poké Ball plus. The joystick base will light up again depending on the result of the action. Rainbow: When the joystick base cycles quickly through all the colours in a rainbow pattern, you have succeeded in an action. If you were catching a Pokémon, the catch was successful or you successfully spun a PokéStop. The Poké Ball Plus doesn’t just glow but vibrate and buzz as well. It can do this for three reasons. Three long buzzes: If the Poké Ball Plus vibrates three long buzzes, there is a Pokémon nearby for you to catch or a PokéStop that you can check in at. Three medium vibes: If the Poké Ball Plus vibrates three medium vibes, you successfully caught a Pokémon or checked in at a PokéStop. Short bursts: If the Poké Ball Plus gives you two short bursts, you have failed to check in at a PokéStop or catch a Pokémon. I hope you found this little guide helpful. If you have any queries or would like to share other features of the Poké Ball Plus, be sure to let us know in the comments.